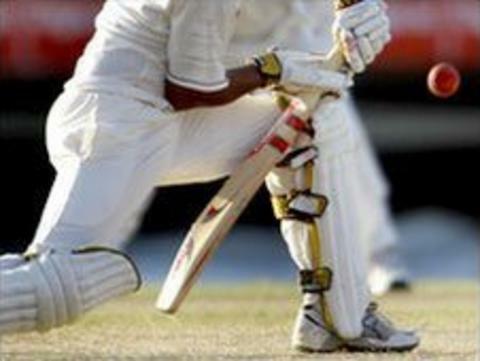 Truro lead the Cornwall Premier League by five points drawing with second-placed Callington. The victors made 227 with Kyle Van Rooyen scoring 69 while Callington reached 174-8 before the match ended. The result means third-placed St Just are only eight points behind after they thrashed Paul by eight wickets. Nick George took seven wickets for 7-33 as Paul were bowled out for just 67 runs, with St Just losing two wickets in reply. Werrington returned from Falmouth with a 105-run win. Ben Smeeth made 75 as they charged to 234-7, a total Falmouth were well short of as they ended on 129 all out as Sam Hockin took 4-46. Mike Bone made 73 as St Austell drew at home to Troon while Grampound Road cruised to a seven-wicket win over bottom side Newquay.